World Book Day is one of those dates that despite being added to the dairy always catches me by surprise. Well, not surprise, but I always seem to be making costumes right up to the night before they are needed! This year the girls got their requests in nice and early so the outfits were on my radar and we spent plenty of time going through ideas on how we could achieve the desired look. Charlotte, bless her little heart was super inventive. 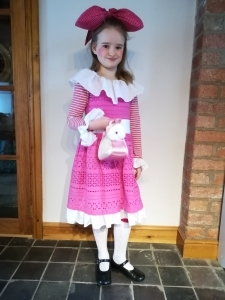 As soon as we started talking about her costume she went rushing off to her wardrobe to see what she could find and came up trumps with a pink dress and a pink long sleeved t-shirt. All that was left for me to do was to add ruffles to the hem, sleeves and neckline and a sash for the waist. Luckily I had some muslin-like white fabric in my stash so out came the overlocker. I was very fortunate to have been offered a barely used Baby Lock Evolve overlocker/serger for a particularly amazing price a few years ago. It ran up several metres of rolled hem in absolutely no time at all. I am one lucky girl to have such a great machine. I should probably give it a little respect and give it a thorough clean! 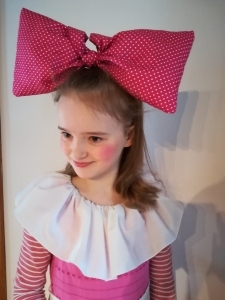 The look was topped off with a mahoosive padded bow! Anyone that knows me will agree that me making a bow of any kind, let alone one of this size is enough to win me mother of the year. 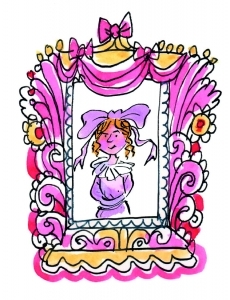 Ever since I was a child I have had a ‘thing’ about ribbons and bows….they make me feel quite uneasy! Don’t even get me started on JoJo bows! Emily, as always was really enthusiastic about World Book Day. Sadly though, nothing suitable in her wardrobe to work from so into the stash of sewing patterns I went! 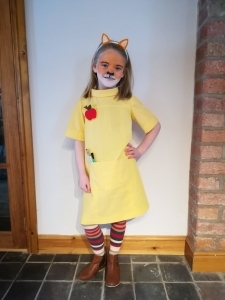 A few years back I made Emily an Oliver+S School Photo dress and thought that the same pattern would work well as a Mrs Fox dress. It’s a good fit don’t you think? I ordered some yellow chambray from Fabrics Galore and lucky me I had some of the lining left from the last time I made this pattern and even had a zip in the stash (albeit a few inches too short). 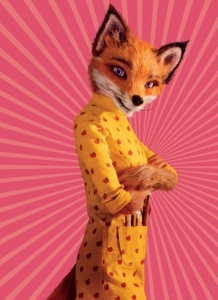 I made the dress up as per the pattern other than leaving off the kangaroo type pocket and added a divided patch pocket instead. I was so pleased with how well the dress turned out. I was so glad that I lined it in then end as when Emily tried it on for the first time she was so pleased….”mum it’s so smooth and slippy!”. My heart just melted when she said that! 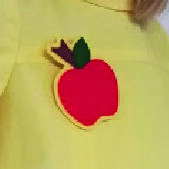 I couldn’t quite bring myself to adorn the dress with painted apples so I decided to use the apple templates I designed a few years ago to make her a felt brooch. I know it’s not quite the same, but it’s a nod in the right direction! 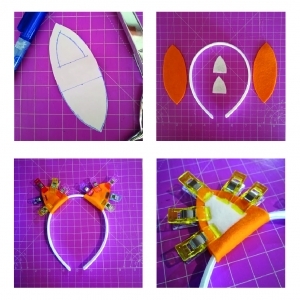 The ears were simple enough and really didn’t take that long to make. I sketched out an ear shape and an inner ear and transferred onto freezer paper so that I could then easily cut them out of felt. I then wrapped them (slightly unevenly on purpose, honest) around a headband the girls had going spare, and glued them in place. 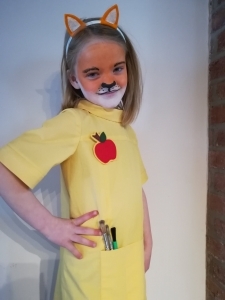 The girls really loved World Book Day and were so relieved that it wasn’t a snow day at school. They always love seeing all their friends in their fancy outfits. Best of all though is the token they received for a free book. What more could you ask for from a a day at school?